I do a lot of scuba diving, and I love coral reefs. They are probably the most beautiful things you can see under water, and they are usually teeming with fish and other wildlife. While there are other wonderful things to see in the ocean, I can’t think of anything better than nearly depleting a tank of air while slowly swimming over and around a coral reef. What’s the difference? The coral pictured above has bleached. Why am I writing about corals and bleaching? Because I ran across a story in the New York Times about a coral reef called Coral Castles, which is located in the Phoenix Islands Protected Area. In 2003, the waters of Coral Castles got very warm, and a large portion of the corals bleached. Even though corals do not die when they bleach, the article says that researchers had declared the reef “dead.” Why? Because when they bleach, corals are not as well-equipped to perform the basic tasks necessary to stay alive, so they are more likely to die when they bleach than when they have their zooxanthellae. I assume that if researchers really did declare the reef dead (I couldn’t find anything from 2003 that indicated this), it was because they thought that with so many corals at such a disadvantage, there was no way the reef could recover. This month, the Massachusetts-based research team finished a new exploration of the reefs in the secluded Phoenix Islands, a tiny Pacific archipelago, and were thrilled by what they saw. When they splashed out of an inflatable dinghy to examine Coral Castles closely, they were greeted with a vista of bright greens and purples — unmistakable signs of life. “Everything looked just magnificent,” said Jan Witting, the expedition’s chief scientist and a researcher at Sea Education Association, based in Woods Hole, Mass. 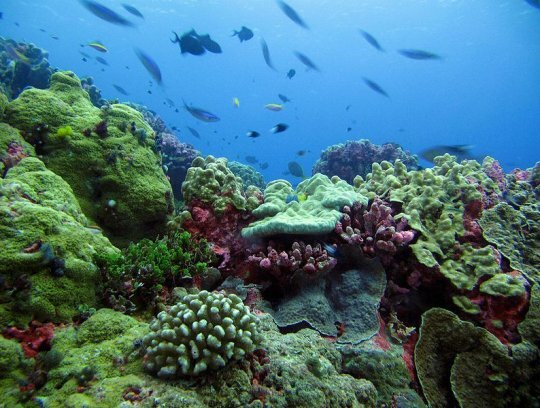 Obviously, then, coral reefs can recover, even from major bleaching events. That’s really good news! But there’s more to it than that. This recovery brings up the question, “Why do corals bleach in the first place?” As I noted earlier, when corals are “stressed,” they bleach. However, that doesn’t really answer the question, does it? What is it about being “stressed” that causes them to expel their zooxanthellae? I have no answer to that question, but I did run across an interesting hypothesis put forth by Jim Steele, the director emeritus of the Sierra Nevada Field Campus at San Francisco State University. He claims that corals expel their zooxanthellae as an adaptation mechanism. He thinks they are expelling one species of zooxanthellae to get a different species. Presumably, this is because the different species will perform better for the coral in the long run. I have no idea whether or not there is any merit to Steele’s hypothesis. I just haven’t studied coral/zooxanthellae mutualism enough to evaluate it. If any of you know enough to critique it, I would love to read your thoughts. That’s an interesting thought. That would clearly help when the water gets too warm, but I am not sure how it would help with cold or pollution. Yeah, I kinda thought that too. My instinct was to question if the resultant color change was helping in some way or just a fluke bi-product of the dumping of zooxanthellae. A secondary thought was that maybe the lack of color sends the reef inhabitants away until the coral can reach some sort of equilibrium. It’s an interesting story, and another instance where scientists severely underestimated an environments ability to rebound. Mt. St Helens is one instance. The clear cutting of the California redwoods is another that I find really interesting. With over 95% of the redwood forest cut down, they feared it would never come back. But redwoods have a speedy mechanism for rebirth. For every tree that was cut, a circle of new trees grew up around the stump. They call these Cathedrals. If you looked at the genetic information in a cell of each of these trees, you would find that they were identical to each other and to the stump they sprang from. The original tree has cloned itself! Supposedly 80% of redwoods now living are cloned from ancestry vs 20% traditional seed reproduction. Information produced by Dr. Herbert G. Baker and James A. Snyder indicate that some of these trees living today could be copied information from 20-30,000 years old (from an old world standpoint). 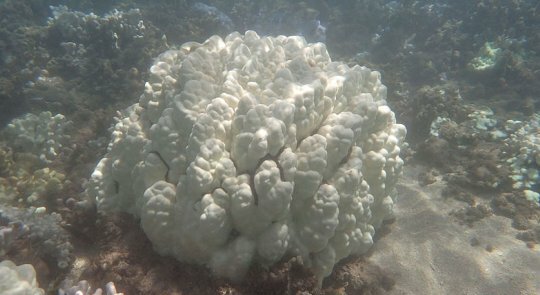 I wonder if research involving coral bleaching has been affected – and possibly hampered – by the view that large-scale bleaching necessarily kills a reef. That’s a good point. Certainly, errant assumptions can often hamper research for quite some time. There have been studies that show several dinoflagellate genera exist in mutualistic symbiotic relationships with corals and many other cnidarians (a phylum that contains corals, anemones, and jellyfish). Some research indicated that corals may be in a relationship with more than one species at a time, and some species are better suited to them versus others. I liken it to the symbiotic relationship humans have with bacteria. We can have over 150 species living on or in us, but those species will differ based on diet and environment. I am intrigued by the suggestion that corals will throw off zooxanthellae when stressed in hopes of obtaining a stronger species…but so far, I have found no research to support that idea. I am encouraged to see this discovery, because it displays the resilient nature of life, which is refreshing in our “doom and gloom” society! Thanks very much, Sherri. For the sake of my readers, I would like to point out that Sherri is a marine biologist and the author of the excellent high school course, Exploring Creation with Marine Biology. One thing I can say about coral reefs is that they are adaptable, very adaptable. I grew up near the greatest coral reef in the world – the Great barrier Reef, and from my youth there were experts (typically from the various Universities) pontificating about the damage the reef was suffering at various points. One of the recurring themes was the Crown of Thorns starfish. It is again back in the news. Various sections of the reef suffers damage, the damaging agents move on and then the damaged sections recover. We have little understanding of the incredibly complex interactions that occur. God made it, He is in control of it and He knows what is going on with it. Sometimes, I think we need to ask the Great Designer Himself some pertinent questions so that we can get on track with discovering more about His creation. I hope you have had a wonderful weekend with your family. May the Lord’s blessing cover you and your endeavors.